A delegation of teachers from Germany visited DAV Public School, Khera Khurd. Three teachers from Rishikul Vidyapeeth, Sonipat with the Director of the school- Mr. S.K. 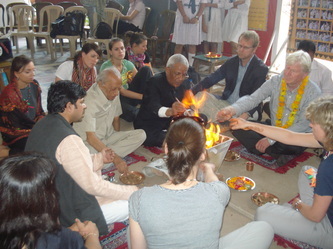 Sharma also accompanied the German Visitors. 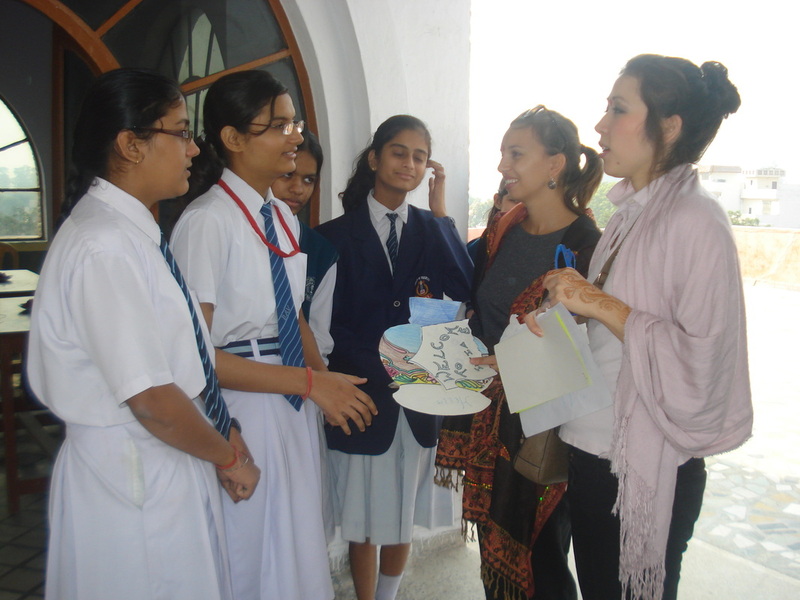 A number of activities and programmes were organised for them by the school which reflected the DAV ethos, Indian culture and tradition. 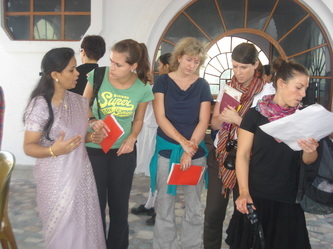 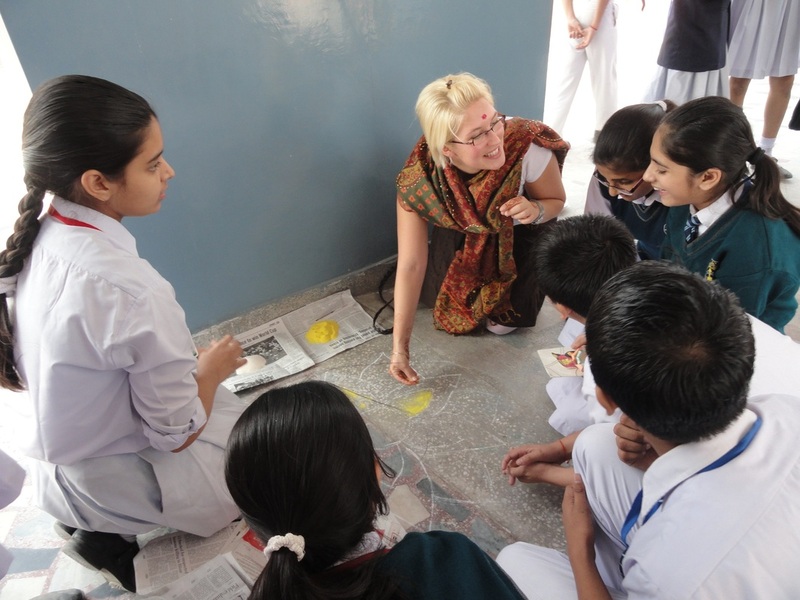 The German teachers visited the classrooms and interacted with the students. While the Germans greeted the students folding hands and saying ‘Namaste’, the students replied saying ‘guten Morgen’. 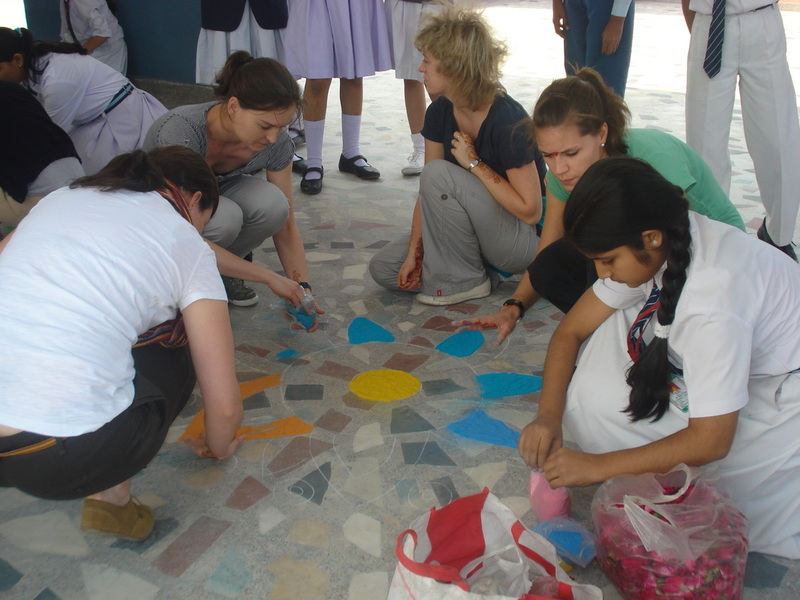 They enthusiastically participated in ‘rangoli’ making activity, Henna-application on hands, making jewellery using beads and paper craft activities. 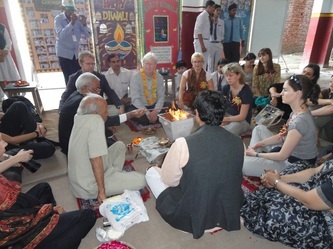 A havan was also organised for the visitors. They were inquisitive about the various Indian rituals and ceremonies. 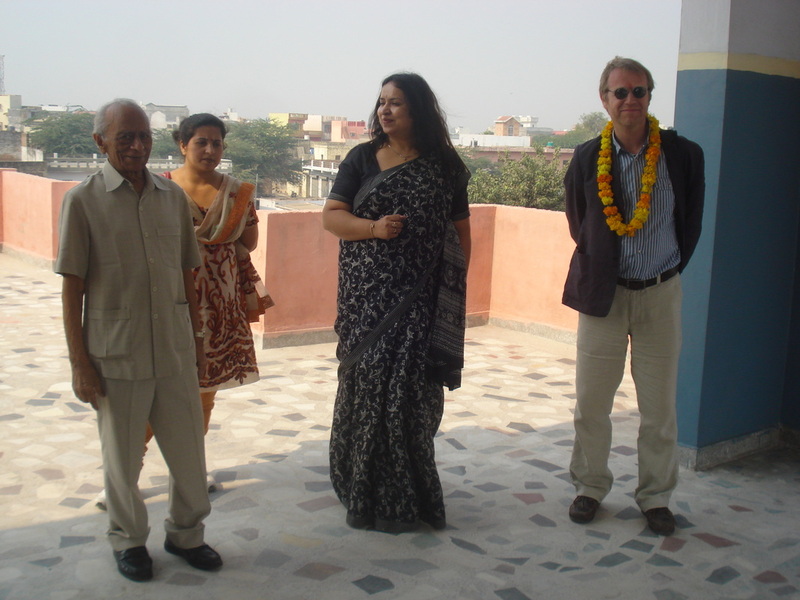 Chairman Sh. 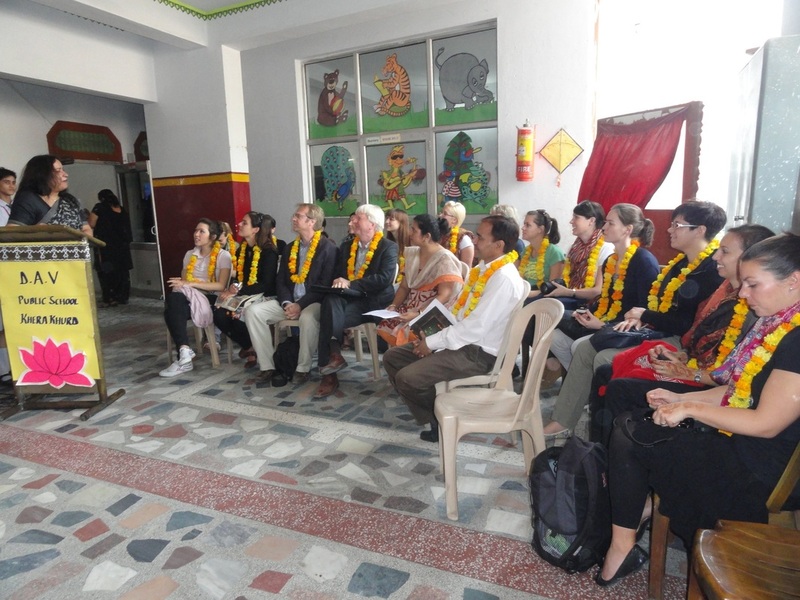 Baldev Jindal welcomed the visitors and told them about Arya Samaj and the DAV culture. Principal Ms. Monika Mehan thanked Mr. Clemins Jarosch (Head Teacher-Teacher’s Training College, Stuttgurt) for coming to the school with his group and interacting with the students. 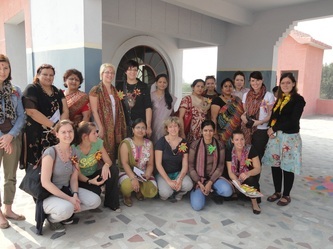 The German Delegation also visited the nearby Gurukul, Gaushala (where cows are housed) and the crop fields. The German visitors left after appreciating the hospitality, the interaction with the students and teachers and promised to remain in touch through various collaborative activities.